Given the recent success of the Apple iPad, I'm convinced that interactive content will soon replace static textbooks. 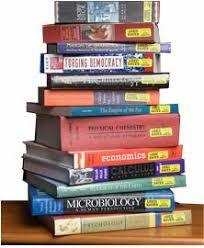 Medical students will have access to interactive textbooks that include video and multimedia animations. Such interactivity will enhance the educational experience and allow students to learn much more efficiently. I envy students today. They have access to such innovative technological resources. Makes me want want to go back to school so that I can learn something. For pleasure reading, static books will still remain popular. However, I'm sure that we'll see educational textbooks reach an entirely new level as publishers incorporate interactive content for students. We're already seeing the application of interactive content in the world of continuing medical education (CME). Physicians are getting more accustomed to learning on the Internet. Now, the iPad allows all of us to take the Internet to the next level of mobility. Agree with your take that students will soon be benefiting greatly from rich media content on their mobile devices, especially we suspect, the iPad. The student population is video centric and we know they’re VERY comfortable accessing interactive content to enhance their learning and comprehension of medical concepts and physical information. At Blausen we're already addressing the former area with our Blausen Human Atlas iPhone app (see the demo http://www.youtube.com/watch?v=XpxFmlTn120) and soon-to-be-released optimized app version for the iPad. For the latter area of “physical” (versus “medical”) learning, this fall we will be launching our Blausen Anatomy & Physiology iPhone and iPad apps in time for students return for the new school year. The rich media content in these apps, when used in conjunction with more traditional printed materials/books, will contribute to faster and more complete learning. Of course, interactive content is a great help, not just for students, but to patients and their families interested in learning about various medical conditions and treatments. That’s why we’re seeing increasing use of our Blausen 3D animations on hospital websites, web portals, patient in-room monitors, etc. (http://Blausen.com/home ). We’re just on the threshold of interactive’s role in educating students, patients and others about medical/physical issues.